I was planning to try a different restaurant when the call of Greek food came to me. So this was apart of a series of all my birthday celebrations (and corresponding weight gain). Upon knowing about getting Greek food, I knew I had to have lamb. 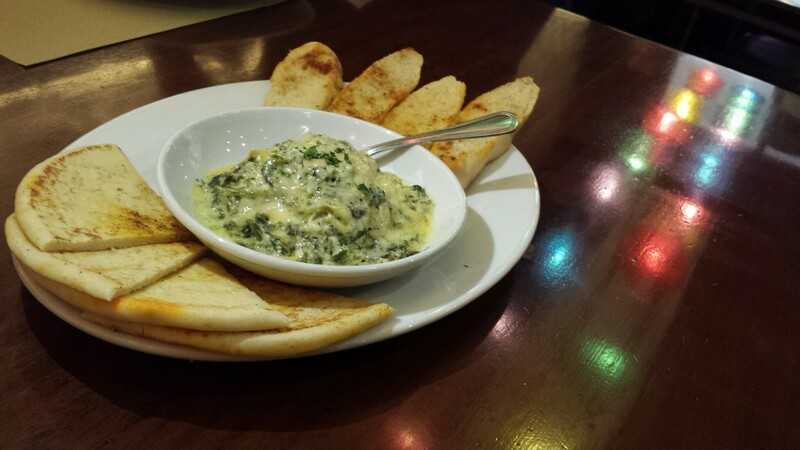 So we order an appetizer of Spinach and artichoke, main or roast lamb, with the side of moussaka. 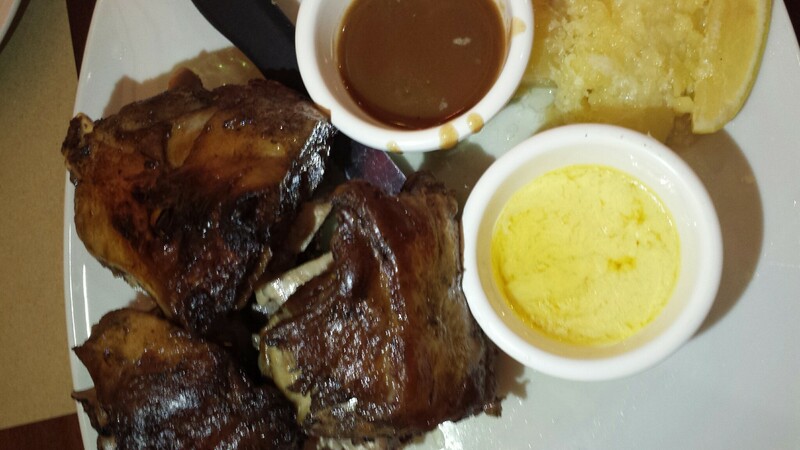 This cost about P1000 which was not bad, considering the hefty serving of the lamb. The appetizer was a bit funny. Maybe it was the canned artichoke. But this wasn’t bad. BUT it seriously tasted like the relish of McDonald’s hamburgers. I mean, I do like McDonalds. But I really am not eager to find its flavors in a Greek restaurant. I don’t know why, but we all agreed on that. The lamb WAS BRILLIANT. It was tender and flavorful. It had potatoes and some sauces on the side, which all worked beautifully with the meat too. It had a gravy, and some kind of lemon sauce. Really really good. And not even gamey at that! 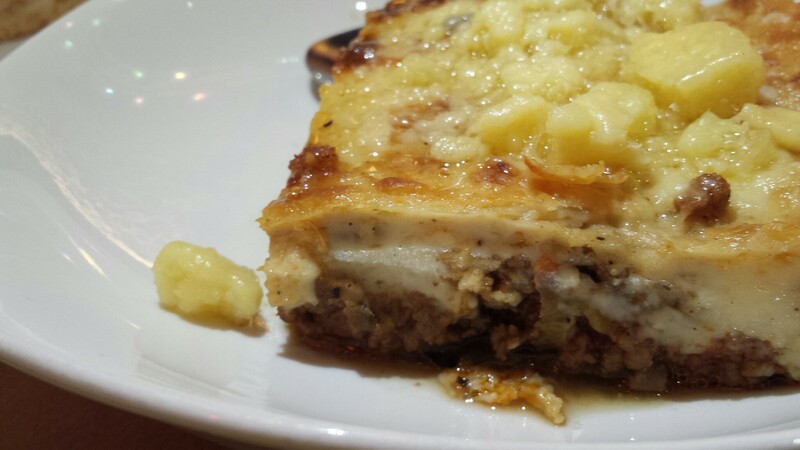 The moussaka was really good too. I usually don’t like eggplant. But this was just like lasagna with eggplant. So it was really yummy.